Smart Bar is a new line of bar modules, for outdoor or for indoor designed and created by Moving Glass & Metal Design srl. This groundbreaking bar-concept is characterized by the reduced size of the elements (the depth of the bench is only 750mm and the length of the modules is 600mm or 1200mm) with just a few additional accessories becomes the custom bar that satisfies your needs. As well as being simple and practical in its use the Smart bar has all the elements refrigerators with connected motor and auto-evaporation of condensate water, so do not need connections to remote units. 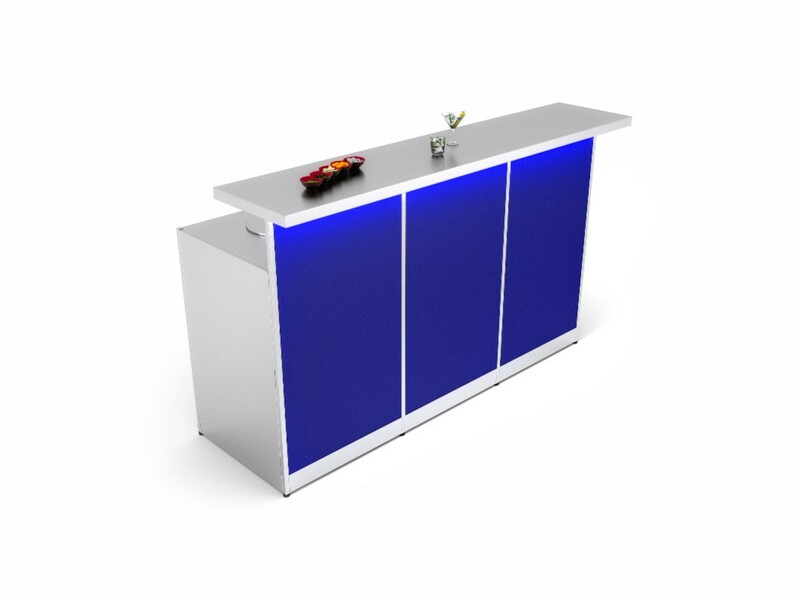 This New “Modular” Bar is perfect for hotels, restaurants, bar kiosks …. but also for exhibitions, concerts, outdoor parties as it is weather resistant as entirely made of stainless steel (with the exception of the front panels which are made of waterproof MDF wood). It can easily be disassembled and transported thanks to the small footprint of the various modules and thanks to the decomposition in parts of these last elements. 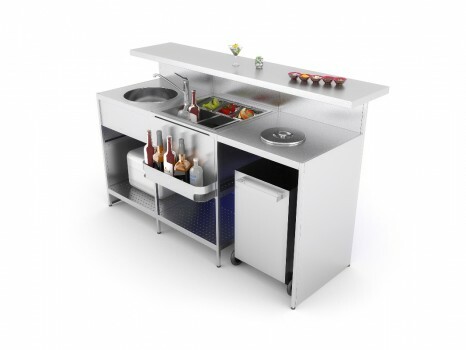 The assembly can also be performed by untrained personnel with the help of a few tools, the only connections required are the ones running water (plug –in water mains) and the electrical mains (220V 50Hz) in case you have installed the refrigerated unit or the static showcase. There is also the possibility of inserting neutral angles at 90 ° in order to shape the Smart Bar as you prefer for forming counters to “L”, “U” or “Bar Islands”.